First, Indian tycoon Vijay Mallya faced losing his “palatial” London home, with UBS Group AG saying it wanted to foreclose. Then, a judge said he should be extradited to India. Now, banks are eyeing two superyachts and a collection of valuable cars that they believe he may own. A group of Indian banks — which are trying to collect more than a billion pounds ($1.3 billion) in debt from Mallya — want documents that would shed light on the “true ownership” of assets including yachts, cars, and paintings, according to their court filings for a hearing Friday in London. Mallya says the items are held by trusts that he has no control of, according to the banks’ filings. The 63-year-old wasn’t represented at the hearing and didn’t immediately respond to an email seeking comment. He’s still in the U.K. and is waiting for the British government to make a final decision on his extradition. On board the Indian empresses were an “Elton John piano and high-value artwork” and the banks wanted to know whether these had been removed before it was sold, they said in their filings. They didn’t provide details of the piano’s links to the singer. There are “many very valuable assets” that are held through “a complex ownership structure comprising offshore companies and discretionary trusts,” the banks said. Mallya ran Formula 1’s Force India team. Mallya — a former member of parliament in India — is fighting multiple lawsuits after defaulting on bank loans. 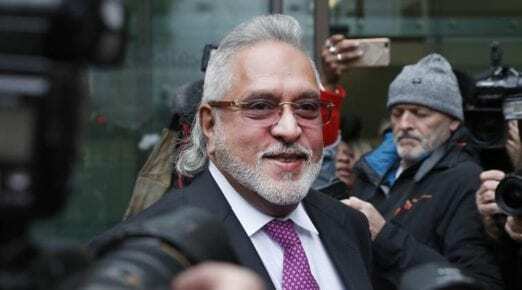 The source of Mallya’s legal problems is about $1.3 billion in loans that he took out in India for the now defunct Kingfisher Airlines Ltd., which he founded in 2005. Disputes over the loans led to civil lawsuits in India and the U.K. as well as criminal fraud charges. The beer tycoon and founder of Kingfisher Airlines were dubbed the “king of good times” in India, after the tagline for Kingfisher beer. He was arrested in London in April 2017 after a consortium of banks accused him of willfully defaulting on more than 91 billion rupees ($1.3 billion) in debt accumulated by Kingfisher Airlines — a full-service carrier he founded in 2005 and shut down seven years later. A willful defaulter is someone who refuses to repay loans despite having the means to do so. What is the Universal Health Insurance Scheme (UHIS)?